I am delighted to welcome Chill With A Book Award winning author, Paula Lofting to discuss her preference for pineapple on pizza, what time she gets up, and, of course, her books! I’m known as Paula Lofting in writing circles, but my real name is Paula Wilcox. I use Lofting, which was my maiden name, as my author name. I have always wanted to write an historical novel based around a family, a sort of saga, and explored various eras in the medieval period, but became rather absorbed in the 11thc when I went on a day out to Battle Abbey where they were reenacting the Battle of Hastings. Of course I knew this period fairly well, but I became obsessed by the idea that a great wrong had been done to thousands of Englishmen and women on that fateful day when the true, chosen king had been killed, mercilessly on the battlefield. I also felt that a great many warriors who had fought, not just for their king, but for their lands and their freedom, and it was their story I wanted to tell more than anything, because Harold’s story had been told, but what of the men who served him, the huscarles and the thegns? What was it like for them, to have their lands stolen, their families torn apart, and their way of life trampled upon. Having an award like this means that someone has understood what you have tried to do. They ‘get’ it. And that’s the most important thing to me. To me, winning this award is better than selling a thousand copies, though the money would be fabulous, its not the same as knowing that someone has read your book and loved it, loved your characters, and loved the theme. I’m working on the third in the Sons of the Wolf series, Wolf’s Bane. Yes, there is a lot of Wolf in the titles, but it’s not about wolves. The reason it has wolves in the titles has mainly to do with the family’s ancestors. These are Christian times in the 11thc, but the old ways are still very much a part of a man/woman’s psyche in these times, and they haven’t forgotten that the people who came from across the sea to settle in England were known as the Sea Wolves, and it was very much a spiritual time then, when animals were their tokens, their spirit guides. Later in these Christian times, the people acknowledge that somethings never change, and whilst they do not practice the old ways, they still remember. I am part of a re-enactment society which I belong to called Regia Anglorum. This is where I learned a lot of my knowledge on every day life and on practicalities such as how to light a fire using flint and a stone, and a bunch of dried grass. On how to make the clothing, how to spin wool, how to fight in a shield wall, etc. etc. etc. Rosemary Sutcliff, Sharon K Penman, and Bernard Cornwell. History always has a great tale to tell, and the beauty of writing in this genre is that authors can fill in the empty spaces that historians can’t fill. My old self would be very surprised to know that it would be medieval-style fantasy, I do believe. Something I wouldn’t have given a thought if it hadn’t been for Game of Thrones. Maybe one day I will write that historical fantasy. Oh gosh! Heck that’s too hard. It might be easier if I could answer my favourite book this year – The Cold Light of Dawn by Anna Belfrage. 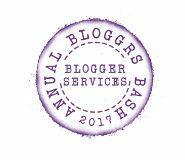 If you’d like to find out more about the Chill With A Book awards, click here! On the battlefield, Wulfhere fights for his life but elsewhere the enemy is closer to home, sinister and shadowy and far more dangerous than any war. 1054, pious King Edward sits on the throne, spending his days hunting, sleeping and praying, leaving the security of his kingdom to his more capable brother-in-law Harold Godwinson, the powerful Earl of Wessex. Against this backdrop we meet Wulfhere, a Sussex thegn who, as the sun sets over the wild forest of Andredesweald, is returning home victoriously from a great battle in the north. Holding his lands directly from the King, his position demands loyalty to Edward himself, but Wulfhere is duty-bound to also serve Harold, a bond forged within Wulfhere’s family heritage and borne of the ancient Teutonic ideology of honour and loyalty. Wulfhere is a man with the strength and courage of a bear, a warrior whose loyalty to his lord and king is unquestionable. He is also a man who holds his family dear and would do anything to protect them. So when Harold demands that he wed his daughter to the son of Helghi, his sworn enemy, Wulfhere has to find a way to save his daughter from a life of certain misery in the household of the cruel and resentful Helghi without compromising his honour and loyalty to his lord, Harold. 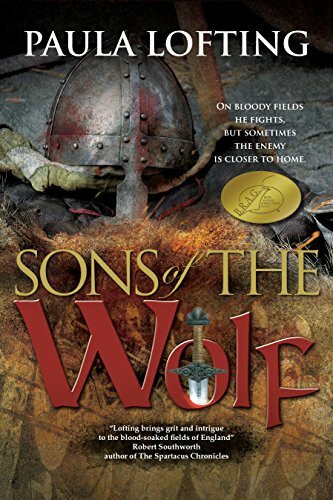 Sons of the Wolf is a panoramic snapshot of medieval life and politics as the events that lead to the downfall of Anglo Saxon England play out, immersing the reader in the tapestry of life as it was before the Doomsday Book. With depictions of everyday life experienced through the minds of the peoples of the time; of feasts in the Great Halls to battles fought in the countryside, it cannot help but enlighten, educate and entertain. It has been Paula’s dream to write since she was a child, but it was not until she was in her mid-forties that she was able to realise her dream. She was born in Middlesex and grew up in South Australia where she was encouraged to read avidly. At the age of 16, she returned to the country of her birth and after facing many of life’s challenges, she finally started writing whilst training to be a psychiatric nurse. Home is now in West Sussex where she lives with her family. 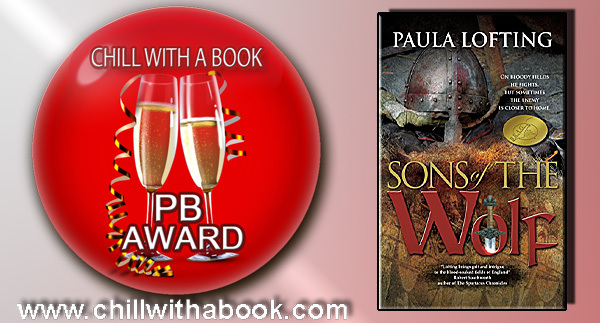 She has a love of history and also re-enacts with Regia Anglorum, one of the leading re-enactment societies, and has just recently written the second book in the Sons of the Wolf series, The Wolf Banner. Great interview, Paula and Emma. Thank you. I particularly like the “planster” bit on the author’s writing process. Interesting that. 🙂 Congrats on winning the Chill Award, Paula. All the best.